Bryant Outlet store at Johnson Creek Premium Outlets. 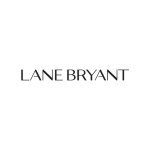 Bryant Gift Cards each day. exclusive #thisbody carry-everything case, while supplies last. store locations and the latest fashion trend information.